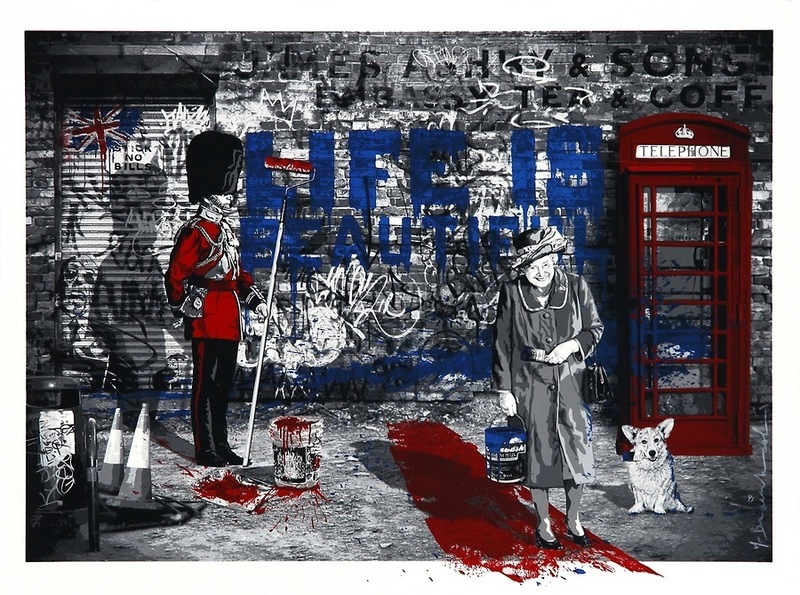 In celebration of the Queen’s 60 years on the throne, Mr. Brainwash released 'Jubilation'. A mish-mash of all the London cliches thrown into one image. Notice the Banksy Rat behind the legs of the Queen’s guard on the shutter?